Many families and students across the country are packing their bags for spring break. Whether you’re heading to the snow or the sun, no doubt your cellphone will be in tow. 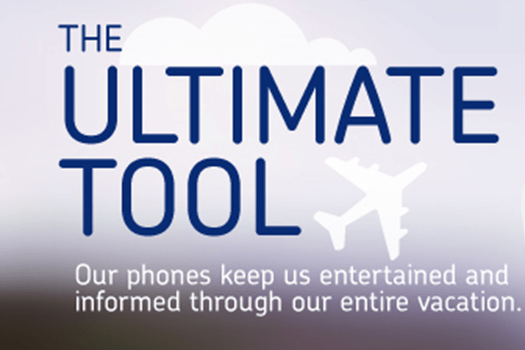 Our electronics have become essential to travel, especially our smartphones. 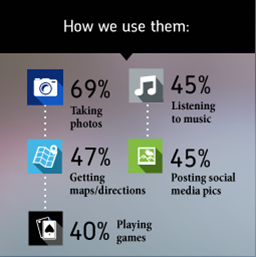 75% of people say their device is very important to have while travelling. 50% use it to check in for flights and get status updates like gate changes and delays, while 40% use it to store travel documents like their boarding pass, itineraries and confirmation numbers. Phones aren’t just for getting us there, they play an important role in helping us navigate a new city and stay entertained throughout our entire vacation. 41% of people have up to 5 travel-related apps on their phone ranging from apps that help you navigate, make reservations, document your trip and more. Invest in a good protective case for you cellphone or tablet. This will help prevent damage to your device if it’s dropped or smashed. Pack extra chargers for your electronics, including portable battery packs that can juice up your devices even without a power source. Use a screen protector to ward of scratches and superficial dings and dents to the surface of your phone or tablet.